Graced with glitter, this v-neck plus-size party dress is sure to illuminate any semi-formal event. The crossover v-neck bodice flatters the figure, while three-quarter-length sleeves make this knee-length wedding-guest dress great for celebrating at air-conditioned venues. 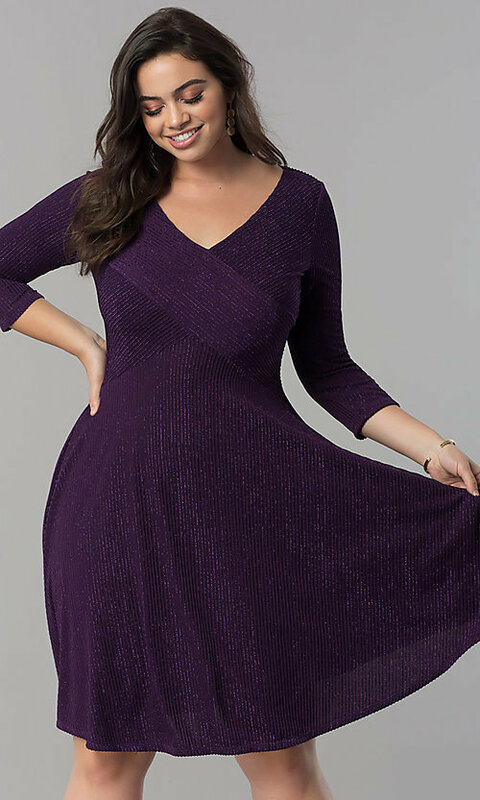 A ribbed glitter-jersey material brings just the right amount of light-catching sparkle to this plus-size party dress. Priced under $100, the semi-formal plus dress is an affordable and versatile addition to any fashionista's wardrobe. 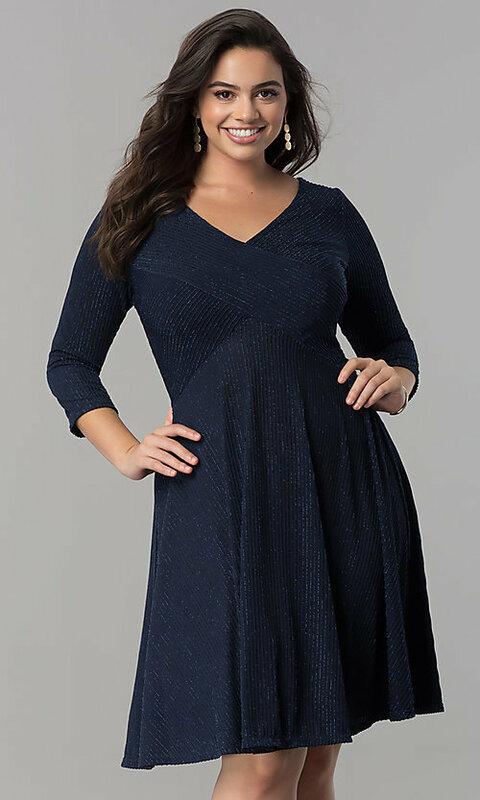 Let your confidence shine brightly with this plus-size v-neck party dress that has an elongating empire-waist design paired with a charming knee-length a-line skirt. 36", Hollow to Hem 37"